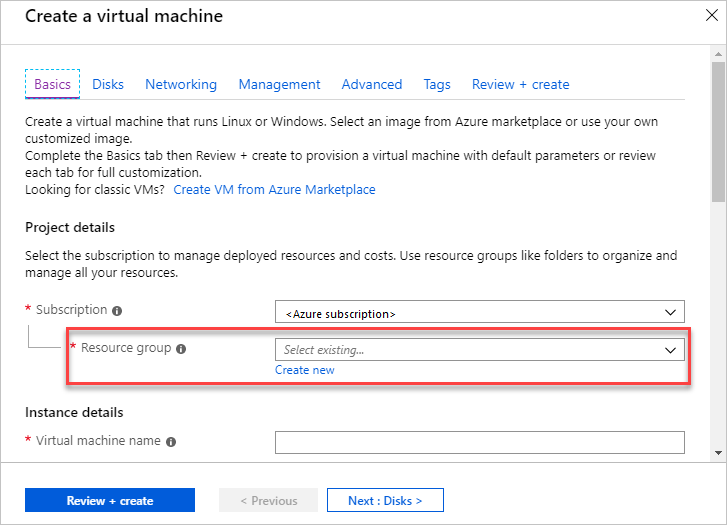 This article shows how to use the Azure portal with Azure Resource Manager to deploy your Azure resources. 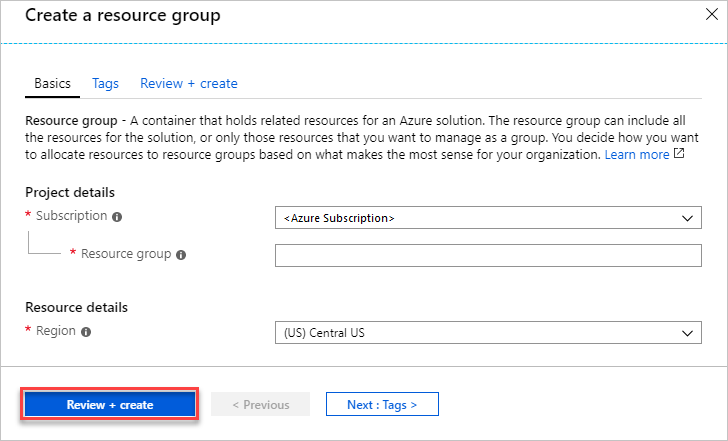 To learn about managing your resources, see Manage Azure resources by using the Azure portal. 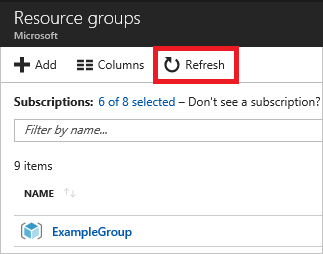 To create an empty resource group, select Resource groups. 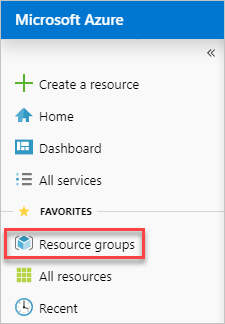 Under Resource groups, select Add. Give it a name and location, and, if necessary, select a subscription. You need to provide a location for the resource group because the resource group stores metadata about the resources. For compliance reasons, you may want to specify where that metadata is stored. In general, we recommend that you specify a location where most of your resources will reside. Using the same location can simplify your template. When you have finished setting the properties, select Create. To see your new resource group, select Refresh. After you create a resource group, you can deploy resources to it from the Marketplace. The Marketplace provides pre-defined solutions for common scenarios. 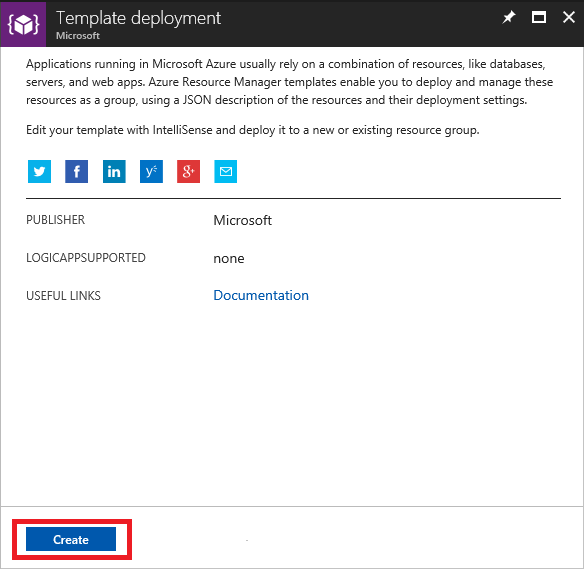 To start a deployment, select Create a resource. Find the type of resource you would like to deploy. If you don't see the particular solution you would like to deploy, you can search the Marketplace for it. 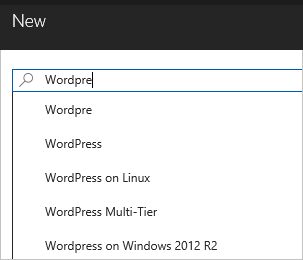 For example, to find a Wordpress solution, start typing Wordpress and select the option you want. Depending on the type of selected resource, you have a collection of relevant properties to set before deployment. For all types, you must select a destination resource group. The following image shows how to create a web app and deploy it to the resource group you created. Alternatively, you can decide to create a resource group when deploying your resources. 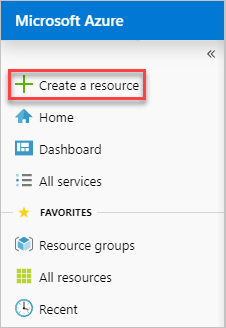 Select Create new and give the resource group a name. Your deployment begins. The deployment could take a few minutes. When the deployment has finished, you see a notification. After deploying your resources, you can add more resources to the resource group by selecting Add. 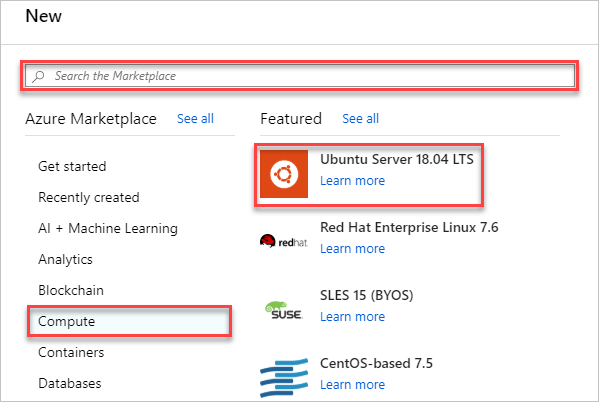 If you want to execute a deployment but not use any of the templates in the Marketplace, you can create a customized template that defines the infrastructure for your solution. 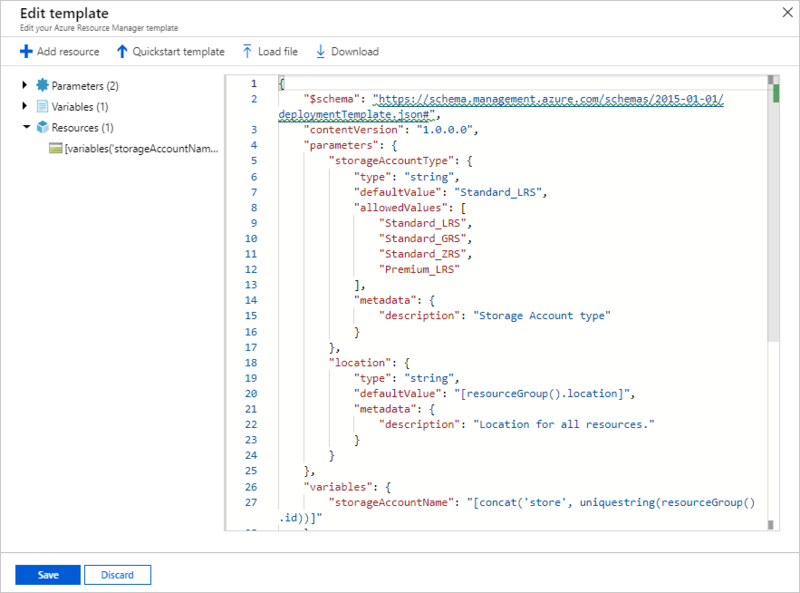 To learn about creating templates, see Understand the structure and syntax of Azure Resource Manager templates. The portal interface doesn't support referencing a secret from a Key Vault. 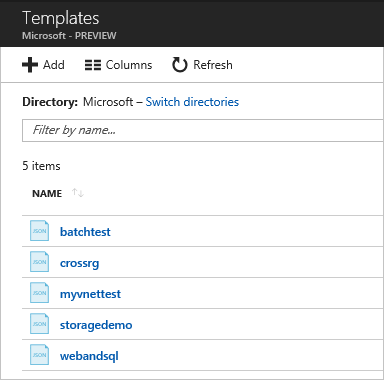 Instead, use PowerShell or Azure CLI to deploy your template locally or from an external URI. 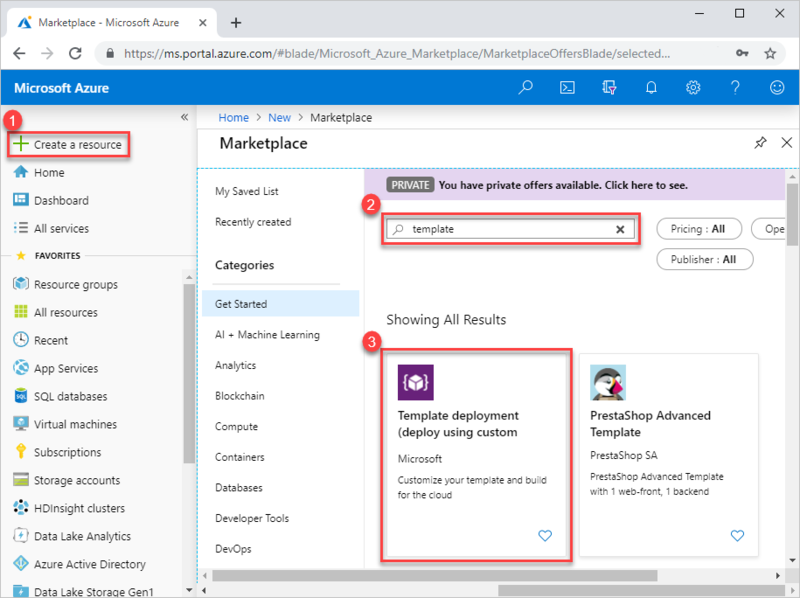 To deploy a customized template through the portal, select Create a resource, and search for Template Deployment until you can select it from the options. You see several options for creating a template. Select Build your own template in the editor. You have a blank template that is available for customizing. You can edit the JSON syntax manually, or select a pre-built template from the Quickstart template gallery. However, for this article, you use the Add resource option. Select Storage account and provide a name. When finished providing values, select OK. The editor automatically adds JSON for the resource type. Notice that it includes a parameter for defining the type of storage account. Select Save. 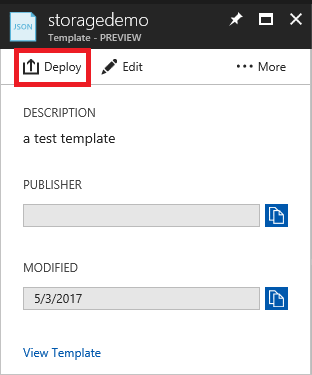 Now, you have the option to deploy the resources defined in the template. To deploy, agree to the terms and conditions, and select Purchase. 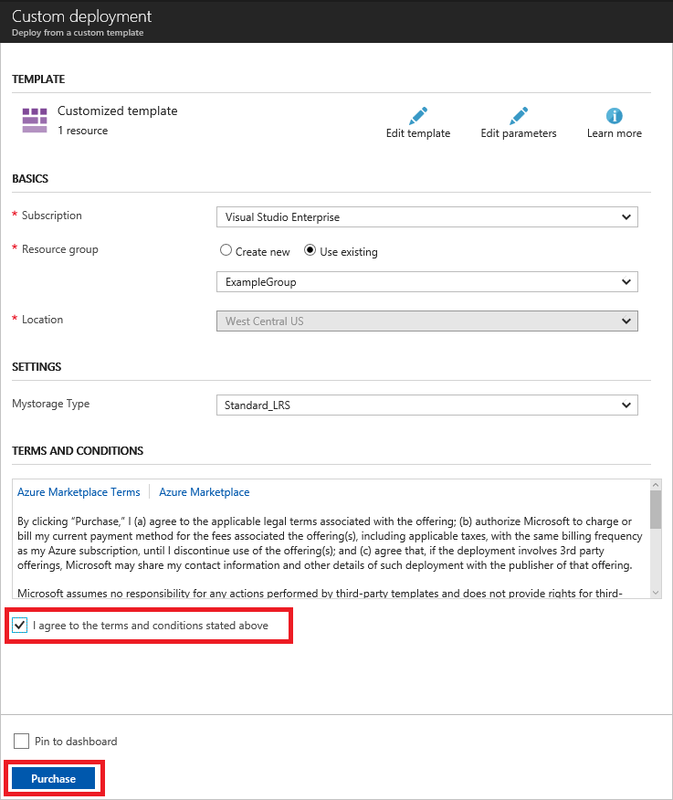 The portal enables you to save a template to your Azure account, and redeploy it later. 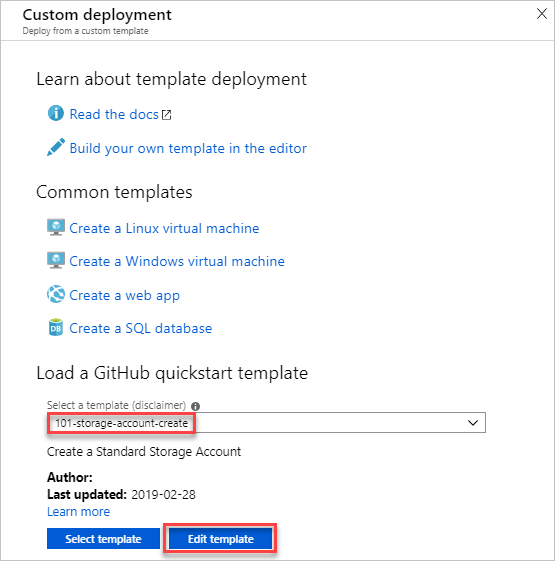 For more information on templates, see Create and deploy your first Azure Resource Manager template. To find your saved templates, select More services. Search for templates and select that option. From the list of templates saved to your account, select the one you wish to work on. Select Deploy to redeploy this saved template. To view audit logs, see Audit operations with Resource Manager. 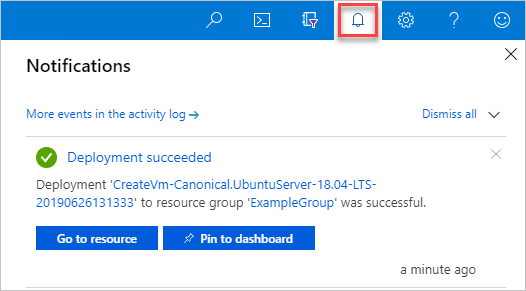 To troubleshoot deployment errors, see View deployment operations. 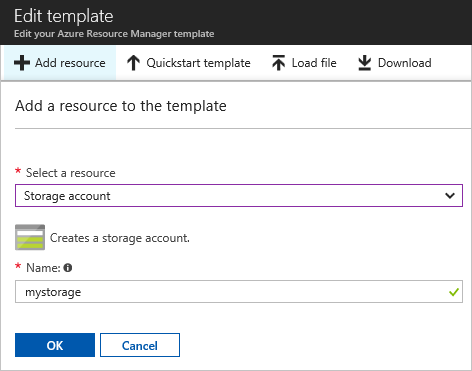 To export a template from a deployment or resource group, see Export Azure Resource Manager templates. To safely rollout your service across multiple regions, see Azure Deployment Manager.